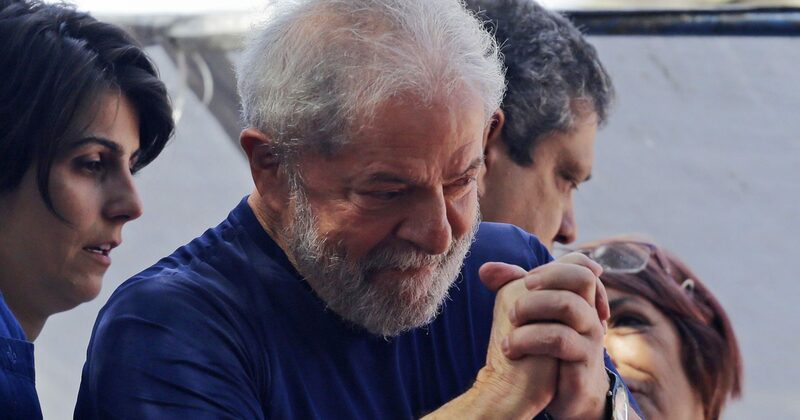 Brasilia, Jan 28 (Prensa Latina) The defense of Luiz Inacio Lula da Silva, imprisoned since April, will bring to the United Nations the decision imposed by a judge prohibiting the former president from receiving further visits from lawyer Fernando Haddad, was announced today. Haddad, São Paulo’s former mayor and former presidential candidate, visited Lula any day of the week in his legal capacity. According to the website Red Brasil Atual, the meetings were, until then, released from Monday to Friday, except on public holidays. Now, with the decision of Judge Carolina Lebbos, responsible for the former president’s criminal execution, only social visits will be allowed once a week (Thursday) between 4:00 p.m. and 5:00 p.m. local time. Visits by religious leaders that Lula received every Monday were also prohibited. According to Lebbos’ determination, encounters with religious leaders can only take place once a month. The other prisoners in jail (where Lula is serving his sentence) at the Federal Police headquarters in Curitiba, capital of the southern state of Parana, receive this type of visit frequently. In the letter sent to the UN Human Rights Committee, the defense of the former head of state denounces that his imprisonment ‘is an affront to the constitutional guarantee of the presumption of innocence and to article 283 of the Code of Criminal Procedure, which require a condemnatory decision in progress to initiate the execution of the sentence, which does not exist in the case of the former president’.